The results of a recent data analysis from Swrve showed that 60 percent of income is generated by 0.23 percent of users. A new report has now been released by Swrve, a mobile marketing automation company, and it has revealed that a very large portion of the total revenues brought in by mobile games are actually generated from a tiny sliver of the total number of players. This suggest that the majority of gamers are either cheap or they know that they can enjoy a game without paying. What the Swrve report indicated was that 60 percent of the total in-app revenues from mobile games were being generated by a tiny 0.23 percent of all of the players. This clearly represents a very small number of the total players and it suggests that these paying players – known by the industry as “whales” – should be treated in the same way that high rollers are treated in Vegas. The report from Swrve was based on data that was collected based on 20 million players of smartphone and tablet based games that are free-to-play. While this may make it seem that mobile games have a rather dim looking future, that is not necessarily true. At the same time that it seems that only a very tiny number of players are providing most of the revenue for these mobile apps, the average amount that is being spent on these video games has risen to $29.17 from having been $22 at the same time last year. So there may not be a large percentage of people paying to play, but those who are have an average spending amount that is 33 percent higher within the span of only one year. 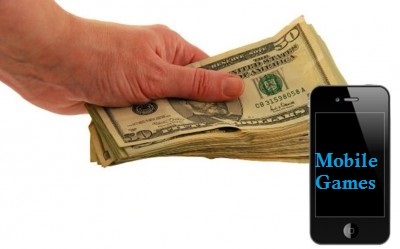 • Among customers who pay to pay on mobile apps, 44 percent made a single purchase, while 20 percent made 5 or more. • The average paying player makes an average of 3.5 monthly purchases at an average of $8.27 per purchase. • 21.9 percent of purchases are of mid-tier virtual items (priced between $10 and $20), and they made up 38.6 percent of the total revenue, which is a figure that had been 22 percent at the same time in 2014. • The average amount of time spent playing mobile games before the first purchase is made is 15 hours, which has dropped from being just over 23 hours, last year.